I am really bad at decorating. So when I find shops online that make it easy to decorate, I know I have to take a look. RodWorks is one of those sites. I happened to stumble on it by "googling" "metal wall shelf"
because someone suggested I use one for the kids stockings since living in Florida fireplaces are scarce. I think it came out great! I plan to change the theme every season/holiday and make it my "mantle" shelf. Ordering from RodWorks was really easy, and I love that they have so many great things for the home, like this sign for only $12.95! or this cute Peacock dish towel! 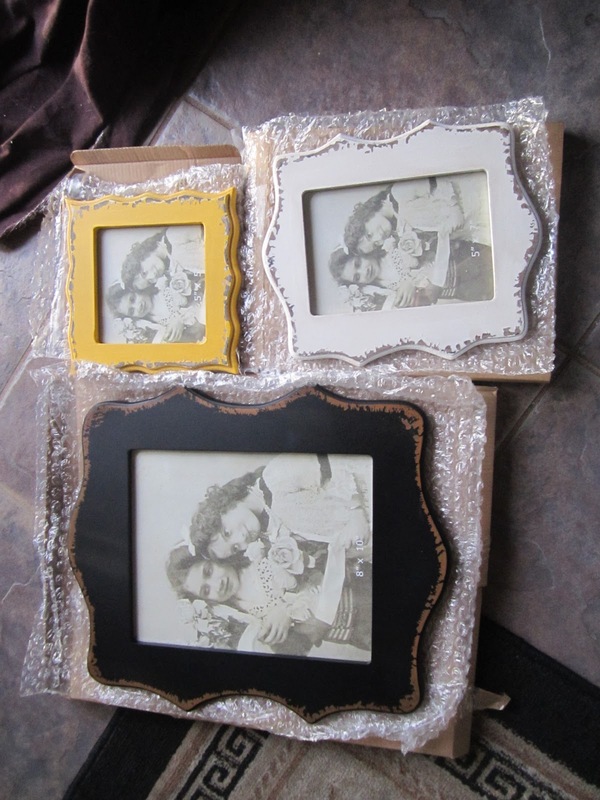 I also got the chance to review these really cool Funky Frames, I love how the wood is distressed, I don't have anything passed down to me from my family, I mean NOTHING, so at least with these frames it makes it look like I do! I really recommend visiting Rodworks.com, they have great prices and great things for the home. Very inventive! I love how you decorated that. Love the shelf, it's gorgeous! That is a gorgeous shelf! I love the idea of changing the theme for the season! I wouldn't have thought of that, lol. I love the shelf and frames! The frames are so unique looking that they will really standout!